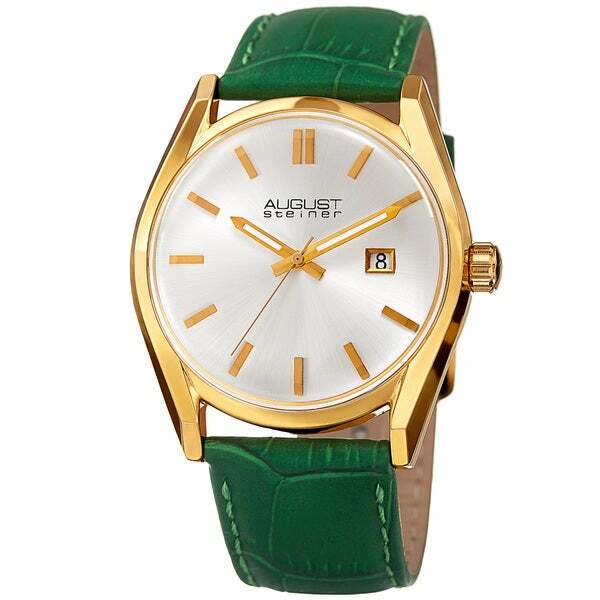 The green leather watch band with the gold dial casing is rich looking. I have compliments every time I wear the watch. I'm very happy with this purchase and would buy it again. The only change I'd make would be a softer leather band but then the price would increase. I like to watch very much and I would recommend it to a friend.